← It’s National Women’s Health Week! 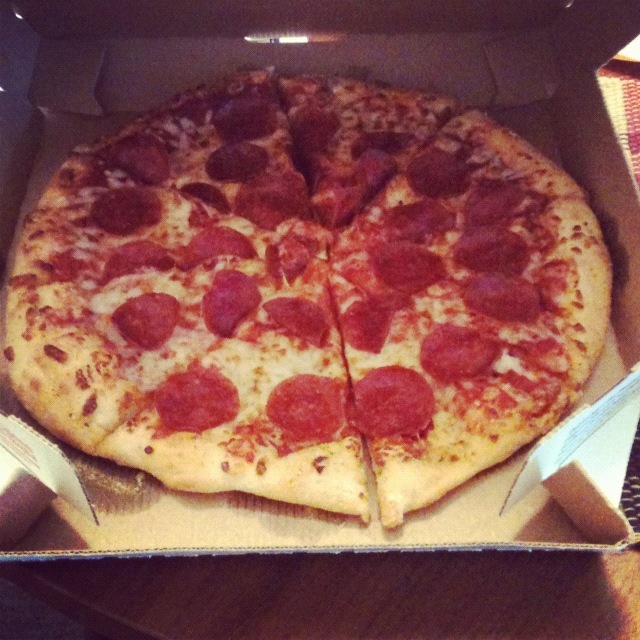 So I was a little late on this but I finally had my Domino’s Ag Pizza Party the other night! In case you didn’t hear about this, the HSUS recently proposed that Domino’s stop using meat from pigs that are raised in gestation crates as some of the other restaurants have done, but Domino’s rejected their proposal because they want to rely on animal experts to determine the best way to raise an animal, not extremist animal rights groups. So in order to support Domino’s and show our appreciation to them for standing up to HSUS and trusting the agricultural industry, the industry got together to throw them an Ag Pizza Party! 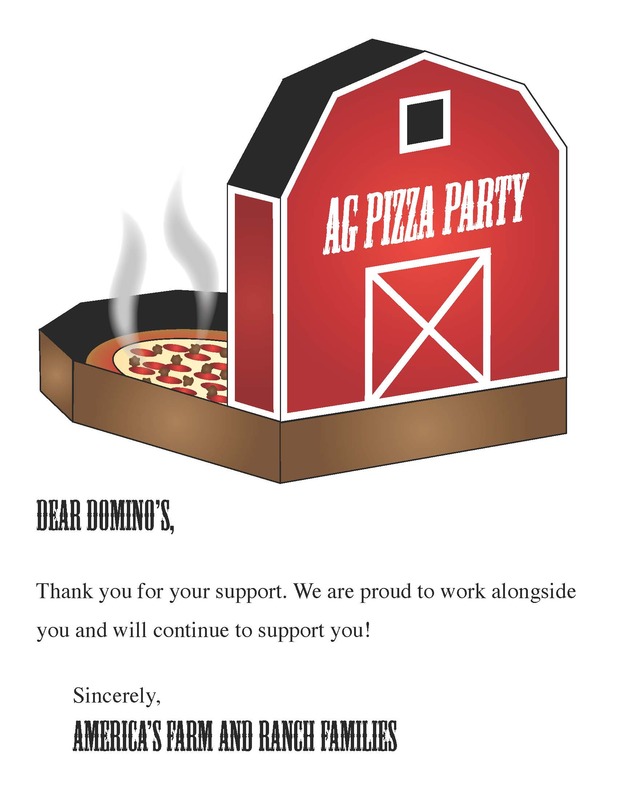 On the weekend of May 19th members of the agricultural industry and community bought Domino’s pizzas and brought them a thank you note to show their appreciation. The event was on Facebook and they had over 2,000 people attend! They also posted this note on the event wall to explain the purpose of the event. Note: This event is to advocate to allow experts in animal behavior and care to do proper research to ensure any changes made to the way animals are cared for are to help the animals’ well-being and not decrease the level of care they receive. We thank Domino’s for standing up for these experts. Any posts that are off topic, attacking individuals and companies or show gruesome visuals of animal abuse (crush videos) will be deleted and the user posting will be banned. 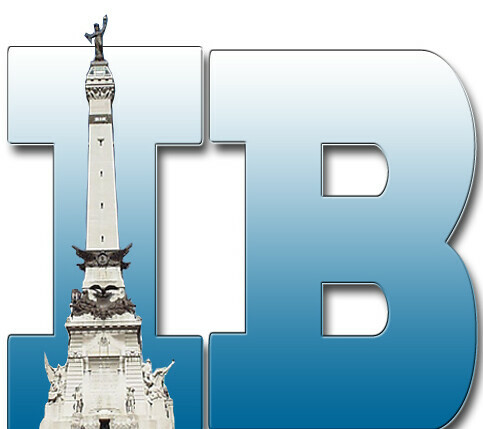 If you would like to post or discuss other information please feel free to at our page The Truth About Agriculture. So on Tuesday I enjoyed MY Domino’s Ag Pizza Party to support this cause as well. 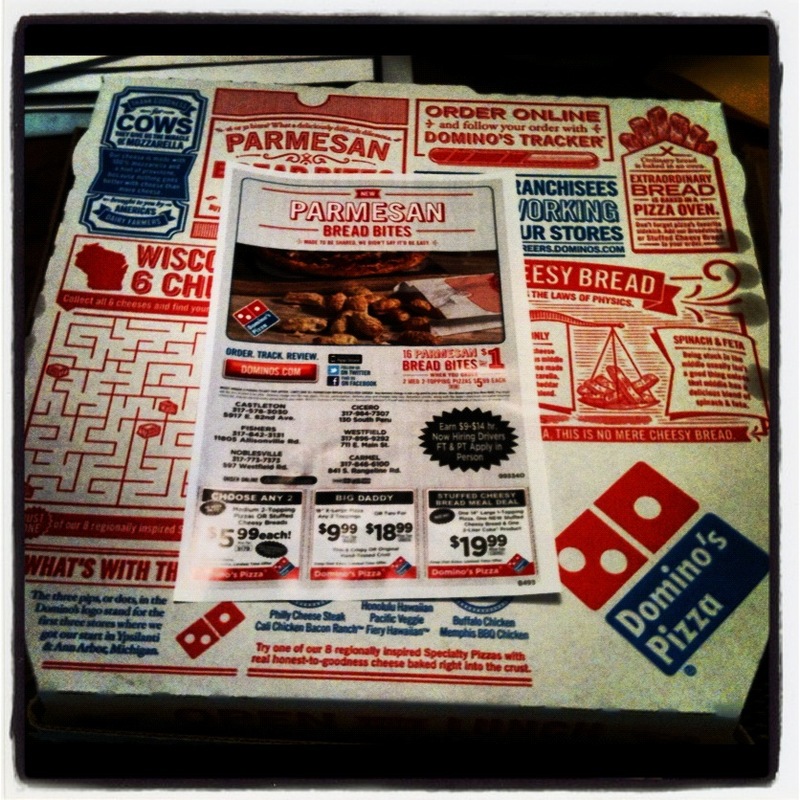 Did any of you have or attend an Ag Pizza Party for Domino’s? I’d love to hear about them! Happy Friday! Thanks to everyone who supports farmers and ranchers!! Posted on June 1, 2012, in Ag Events, Agvocating and tagged ag industry, agriculture, agvocate, animal rights, animal welfare, Domino's, Facebook, HSUS, pizza, pizza party, trusting farmers, veterinary medical association. Bookmark the permalink. Leave a comment.